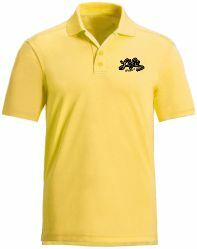 Mens combed cotton pique golfshirt. Life Pass It On logo embroidered on the left chest. Available in Yellow.